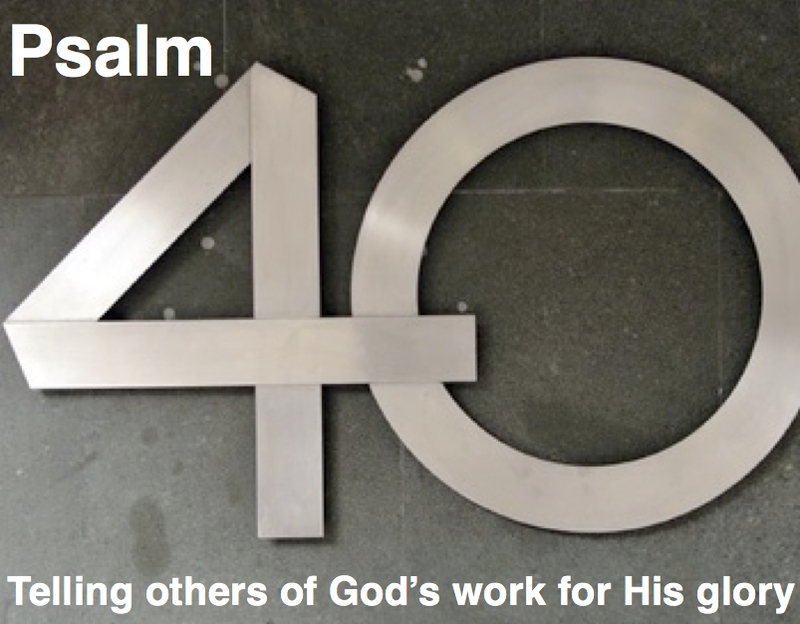 This week, I read Psalm 40 as I was following my Bible reading plan (Let me stop here to encourage you, if you are not already doing so, to read through the Bible. Here is a link to several plans that will help facilitate that discipline). As I read and meditated on this psalm, these two verses stuck out to me. Here David writes that he has spread the news of God’s deliverance, faithfulness, and steadfast love to the great congregation. He has not hidden it in his heart, keeping what the Lord has done for him to himself. Rather, he has spread that message for all who are in the great congregation to hear. We too, need to spread the message of God’s deliverance, faithfulness, and steadfast love, as we see it evidenced in our lives to our church family. Telling others how God is working in our lives serves to motivate and encourage fellow congregates to continue to fight the good fight. Not only does it encourage others, but our speaking of God’s work in our life brings glory to God. So, may we seek to tell others in our church how God is working in our lives. Not keeping it a secret, but using it as an opportunity to encourage and motivate our fellow church members, as well as a way to glorify our Father in heaven.